The 2013 federal budget introduced a temporary First-Time Donor’s Super Credit (FDSC), effective for donations made on or after March 21, 2013. First-time donors are eligible for a 40 per cent tax credit (15 per cent + 25 per cent) for their first $200 in donations, and a 54 per cent credit (29 per cent + 25 per cent) for donations in excess of $200, up to $1,000. First-time donors are defined as such if neither they nor their spouse or common-law partner claimed the donation tax credit for the previous five taxation years according to Accountant in Vaughan. The taxable income thresholds in all three Ontario provincial tax brackets were increased by 1.8 per cent in 2013, reflecting changes to Canada’s consumer price index (CPI) in Ontario. All indexed non-refundable tax credits also increased by 1.8 per cent in Vaughan. The Ontario government introduced a high tax bracket in 2012. In 2013, individuals will be taxed at a rate of 13.16 per cent for the portion of their taxable income in excess of $509,000, up from 12.16 per cent of $500,000 in 2012. • Tips and gratuities must be reported as income, even though they may not necessarily be included by employers on the employee’s T4 slip Statement of Remuneration Paid. must take the fair-market value of that award into account as taxable income. • Subsidized long-term accommodation provided by an employer for the employee’s benefit. • Employees or ex-employees who receive periodic payments under a disability insurance plan, sickness or accident insurance plan or income maintenance insurance plan to compensate for loss of income from an office or employment must include that amount in income if the plan’s premiums were paid by the employer; however, they may deduct from income any amount they may have personally contributed toward such a plan. 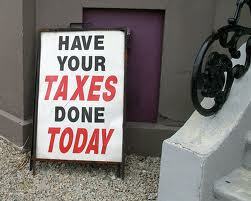 Annual premiums paid by an employer to a group sickness or accident insurance plan are also taxable starting in 2013. • Employees who exercise an option to purchase an automobile from their employer at less than its fair-market value (FMV) are considered to have received a taxable benefit for the difference between the price paid and FMV. TAX Flexible employee benefit programs, which allow employees to custom-design their own package of health and other benefits, are popular in the workplace. Take care when structuring such plans, however, because taxable benefits can result. If, for example, an employee accumulates flex credits and those benefits are received in cash, that amount is generally considered taxable income by Accountant in Vaughan. Always keep independent track of your earnings. Don’t rely totally on the receipt of earnings slips such as T4s. Failure to accurately report income could result in substantial penalties according to Accountant in Vaughan. • Ordinary discounts on the employer’s merchandise, available to all employees on a non-discriminatory basis. Subsidized meals available to all employees, provided a reasonable charge is made to cover direct costs. There are also other ways you can save tax dollars by your accountant at Vaughan, for more information please call 905-794-8283.